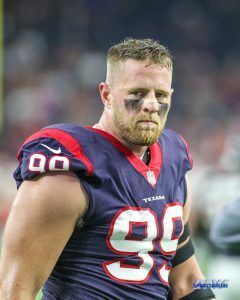 Houston Texans coach Bill O’Brien confirmed Monday that star defensive end J.J. Watt will miss the rest of the 2017 season after he suffered a leg fracture during Sunday’s game against the Kansas City Chiefs. 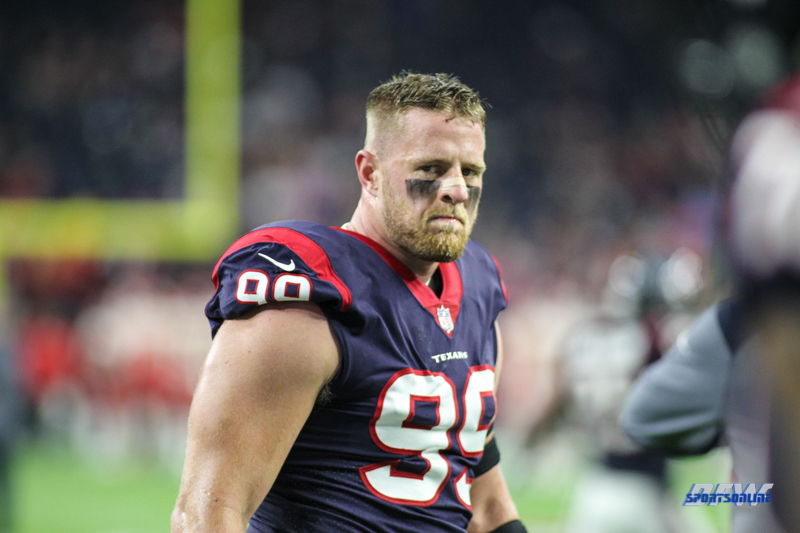 Watt fractured the tibial plateau in his left leg during the Texans’ first defensive series of the 42-34 loss against Chiefs at NRG Stadium. O’Brien also said the Texans lost outside linebacker Whitney Mercilus for the season after he tore a pectoral muscle on the same drive in the first quarter as Watt’s injury. Watt crumpled to the ground while attempting to pressure Chiefs quarterback Alex Smith on third down from the Texans 17. Watt initially remained on his knees before rolling over on his back and displaying obvious discomfort. The three-time NFL Defensive Player of the Year required the aid of a cart to leave the field after he sustained the non-contact injury, and Watt was taken by ambulance to a local hospital. Watt missed the last 13 games of the 2016 regular season because of a back injury. In five games this year, Watt recorded 15 tackles but no sacks. Mercilus recorded 12 sacks in 2015 and 7.5 in 2016. He has one sack this year. “The deal in this league is that the train doesn’t stop moving,” O’Brien told reporters Monday. “These guys are there, and they’re going to have to step in. “It’s going to be multiple guys. You don’t replace J.J. Watt or Whitney Mercilus with one guy. That’s ridiculous. So it’s going to a lot of different guys that are going to chip in to help.